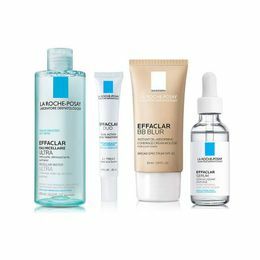 La Roche-Posay Effaclar Micellar Water Ultra Cleansing for Oily Skin 6.76 fl oz. 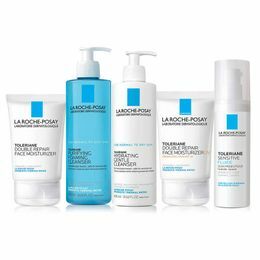 La Roche-Posay Toleriane Soothing Protective Skincare For Normal To Combination Skin 1.35 fl oz. 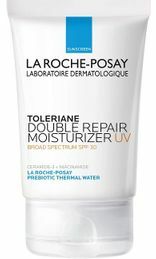 La Roche-Posay Toleriane Double Repair Face Moisturizer UV SPF 30, 2.5 fl oz. La Roche-Posay Toleriane Dermo Milky Facial Cleanser For Sensitive Skin 6.76 fl oz. La Roche-Posay Thermal Spring Water Face Mist 10.5 fl oz. La Roche-Posay Substiane Riche Replenishing Care Cream 1.35 fl oz. 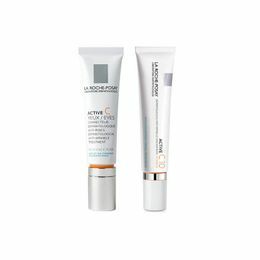 La Roche-Posay Substiane Eyes De-Puffing Replenishing Care 0.5 fl oz. 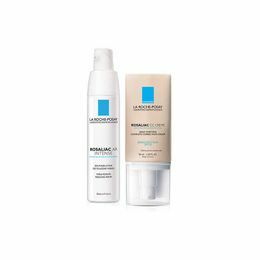 La Roche-Posay Rosaliac CC Cream Tinted SPF 30 1.7 fl oz. La Roche-Posay Rosaliac AR Intense Visible Facial Redness Serum 1.35 fl oz. La Roche-Posay Redermic R Retinol Eye Cream 0.5 fl oz. La Roche-Posay Effaclar Micro-Exfoliating Astringent Toner For Oily Skin 6.76 fl oz. 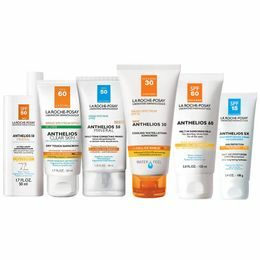 La Roche-Posay Anthelios Melt-In Sunscreen Milk SPF 60 5.0 fl oz. 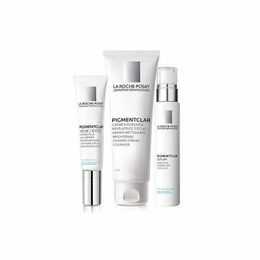 La Roche-Posay PigmentClar Serum Visible Dark Spot Reducer 1.0 fl oz. La Roche-Posay Pigmentclar Eye Cream For Dark Circles 0.5 fl oz. La Roche-Posay Anthelios SX Daily Moisturizing Cream SPF 15 3.4 fl oz. La Roche-Posay Effaclar BB Blur Cream With SPF 20 Fair/Light 1.01 fl oz. La Roche-Posay Lipikar Body Lotion For Normal To Dry Skin 13.5 fl oz. La Roche-Posay Effaclar BB Blur Cream With SPF 20 Light/Medium 1.01 fl oz. 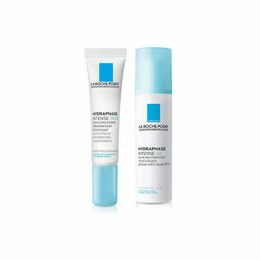 La Roche-Posay Hydraphase Intense UV Moisturizer With Hyaluronic Aicd And SPF 20 1.69 fl oz. 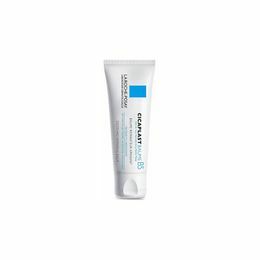 La Roche-Posay Effaclar MAT Mattifying Daily Moisturizer For Oily Skin 1.35 fl oz. La Roche-Posay Lipikar AP+ Balm Intense Repair Moisturizing Cream For Dry Skin 13.52 fl oz. La Roche-Posay Redermic C Vitamin C Eye Cream 0.5 fl oz. La Roche-Posay Substiane Serum For Facial Sagginess 1.0 fl oz. Thermal Spring Water, a naturally soothing and antioxidant, is at the origin of La Roche-Posay brand. 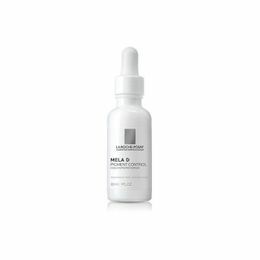 Discovered centuries ago in the town of La Roche-Posay, France, it has been recognized by the scientific community for its skin care properties thanks to its high content in Selenium, a rare and powerful natural antioxidant. This exclusive water has been used at the La Roche-Posay Thermal, Europe's leading thermal dermatology hospitals since 1905 to treat patients with chronic skin diseases. 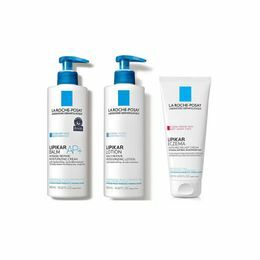 In 1975 the brand La Roche-Posay Laboratoire Dermatologique was created with its mission being to develop skincare products, using Thermal Spring Water as a key ingredient in their skin care formulas. The formulas are also paraben-free, fragrance-free, hypo-allergenic and non-comedogenic and they all include the soothing antioxidant Thermal Spring Water. 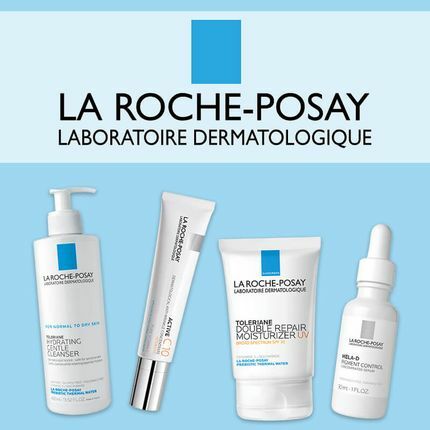 Recommended by 90,000 dermatologists worldwide, sold in over 50 countries, and trusted by millions worldwide, La Roche-Posay skincare is strictly formulated with high efficacy and safety standards in a full range of products to address skin needs, even sensitive skin. In the past 20 years alone, La Roche-Posay has conducted over a hundred clinical trials many of which have been published in professional journals. 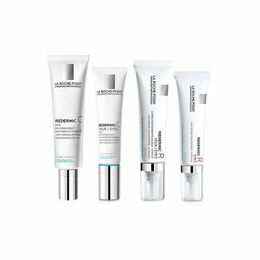 Deep-rooted in its dermatological heritage, the brand keeps pushing the boundaries of scientific research to offer dermatological skincare to everyone.